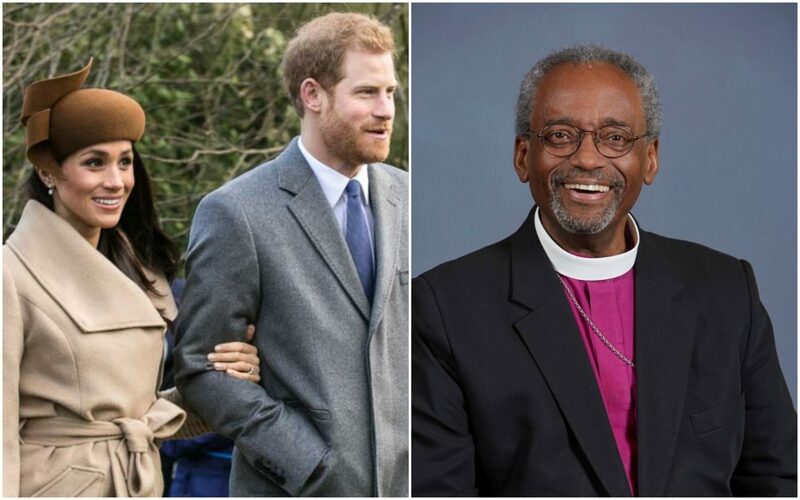 The External Affairs Office of The Episcopal Church has released an EXCELLENT set of materials on tomorrow’s Royal Wedding, featuring preaching by Presiding Bishop The Most Rev. Michael Bruce Curry. We hope you’ll be watching the stream with us–fascinators and morningcoats are, of course, optional. Lay Alternates: Barbara Okamoto Bach, Thomas Szczerba, Marcus Gales, and Karen Bemis. The Rev. Jack Zamboni is rector of St. Francis’ Church, Dunellen. Jack has served our Diocese on Cathedral Chapter, as Chair of the Committee on Classification of Congregations, and Co-Chair of the Task Force on Restructure. He has been a deputy to the last 5 GCs and at this Convention will serve on the Legislative Committee on Prayer Book, Liturgy and Church Music. The Rev. 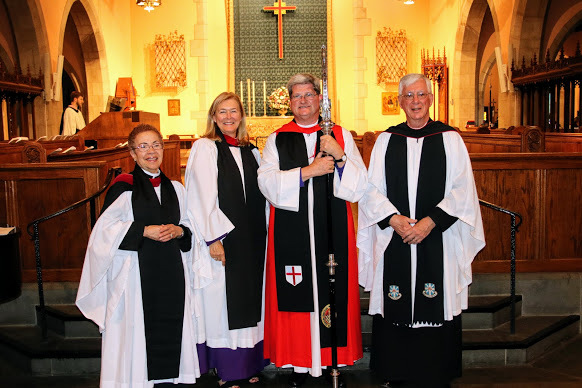 Gail L. Bennett, Dcn., serves as a deacon at Trinity Church, Asbury Park. Gail is a lifelong member of the diocese and was ordained deacon in 1985. Gail has served on many diocesan committees, including the Finance and Budget Committee. Gail was a deputy to General Convention in 2015 and alternate in 2006, 2009, and 2012. Gail is highly dedicated to the work of the General Convention’s Five Marks of Mission and brings the valued perspective of a deacon to that work. The Rev. Valerie L. Balling is Rector of St. Barnabas Church in Monmouth Junction. She has been active in many aspects of the diocese; she is currently president of the Standing Committee. Valerie was a deputy to the General Convention from the diocese in 2012 and 2015, and both times was selected to serve on a Legislative Committee. She supports our deputation with her knowledge of the legislative process. In 2018, Valerie will serve on the Legislative Committee on Governance and Structure. The Rev. 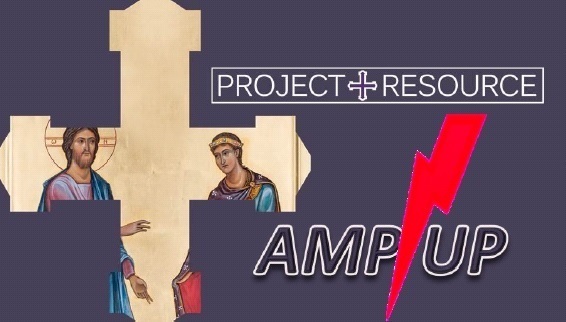 Daniel Scott Russell serves as the Chaplain for the Episcopal Campus Ministry at Rutgers. In his 15 years of ordained ministry in three dioceses, Scott has served as chaplain, associate rector, and rector, being elected as chair of the Higher Ed Ministry Commission, and member of Executive Council, Commission on Ministry, Budget and Finance, Social Justice Task Force, LGBTQ Inclusion, and Diocesan Council. This will be Scott’s first time at General Convention. The Rev. W. Keith McCoy, Dcn., serves as a deacon at St. John’s Church, Somerville and has been one of the Archdeacons of our Diocese. He has previously served as an alternate deputy to General Convention in 2006 and 2015. He brings many years of service in this diocese to this office, as well as several years on the national level for the diaconate. As a part of our deputation, Keith hopes to promote the vision of servant ministry in all our discussions and decisions. The Rev. Justin A. Falciani serves as rector of Christ Church, Somers Point. He has been elected to Diocesan Council and Disciplinary Board. He has successfully presided over a Parish Capital Campaign to expand ministries and outreach of Christ Church to the surrounding area. 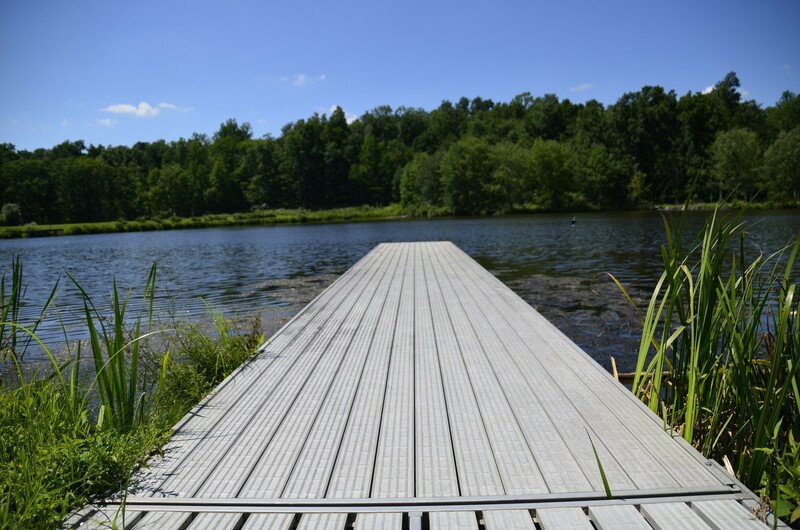 Justin is also a member of the Ethics Committee of Bacharach Institute for Rehabilitation in Galloway Township. This is his first GC. Canon Paul Ambos, Esq., worships at Christ Church, New Brunswick. Canon Ambos has been a lifelong member of the diocese and is an attorney practicing in the fields of commercial, corporate, real-estate, and canon law. He was elected alternate deputy to General Convention in 2009 and deputy in 2012 and 2015. He serves on various diocesan committees. He has been Chancellor of the Diocese of New Jersey since 2014. 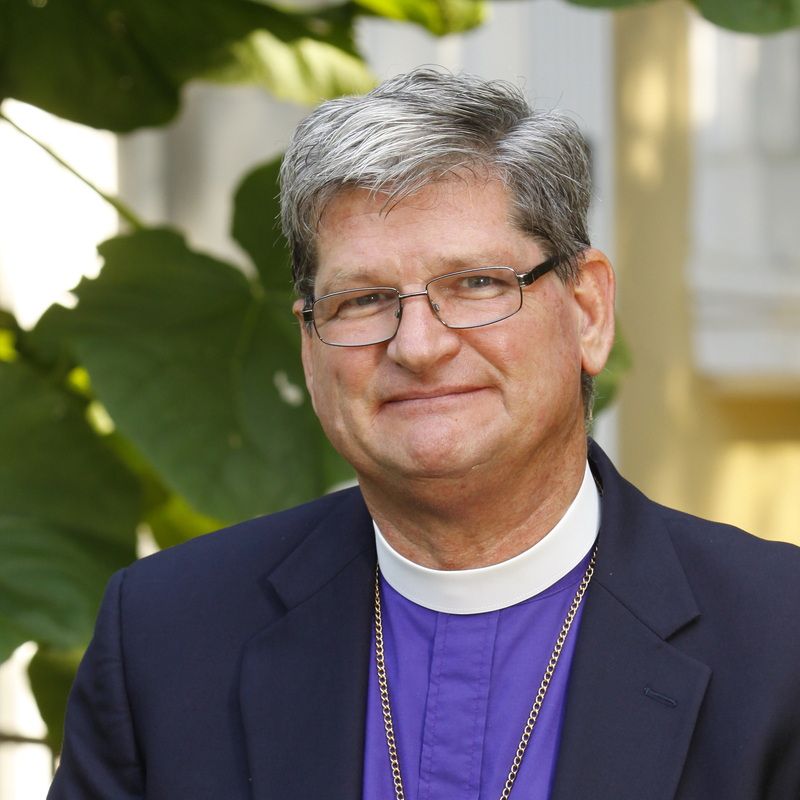 Paul will join Bishop Stokes and Canon Duncan on the Legislative Committee on The Episcopal Church in Cuba. Canon Noreen L. Duncan, a retired professor, worships at Trinity Church, Princeton, where she serves as a lay reader, chalice bearer, usher and member of PCOM. She also pledges as a member of Trinity Cathedral. Co-chair of the diocese’s Anti-Racism Team, she is a member of the Anti-Racism Commission and a workshop facilitator. She has been a deputy to several previous General Conventions. Canon Duncan is lay representative to The Episcopal Church’s Executive Committee. She will join Paul Ambos and Bishop Stokes on the Legislative Committee on The Episcopal Church in Cuba. Louis A. Cavaliere worships at Grace Church, Merchantville. Lou is a retired US Naval Captain who also had a career with Keystone Shipping Co. of Philadelphia as a marine engineer and contracts manager. He serves Grace Church as Treasurer. Lou is a strong advocate for victims of human trafficking and has represented the Diocese of NJ MDG Task Force on the NJ Coalition against Human Trafficking and the United Nations Committee for Stopping Trafficking in Persons. Although this is his first time as a deputy to General Convention, Lou has been appointed to the Legislative Committee on Social Justice and United States Policy. Wendy V. Blackman worships at St. Mark’s, Plainfield. Wendy is a retired Critical Care Registered Nurse. Since joining St. Mark’s in 1985, she has been involved as a Youth Group Leader and served on the Scholarship Committee, Vestry, Altar Guild and the Episcopal Church Women. She is a LEM. Currently, she is Chair of the Van Duzer Scholarship Committee, and she founded the Health Ministry at St. Mark’s. She is an active member of the Anti-Racism Commission, secretary to local chapter of the Union of Black Episcopalians (UBE), and has been involved with the youth of the diocese. She is currently on the Board of Mission, the Standing Committee, and the Commission on Black Ministry. This will be Wendy’s first time at General Convention. Barbara Okamoto Bach worships at St. Paul’s, Westfield. Barbie has been active in the diocese for more than 20 years, having served on the Standing Committee, Diocesan Council, Anti-Racism Commission and Team, and Environmental Commission as well as in national racial justice movements. She has been a LEM, vestrymember, outreach coordinator, and more. Barbie is a lifelong third-generation Episcopalian and former member of four dioceses. This will be Barbie’s first time at General Convention. Thomas Szczerba worships at Christ Church, Toms River. He is an active member of Diocesan Young Adult Council and Youth Director at St. Uriel’s, Sea Girt. He served on Diocesan Youth Council and many Christ Church ministries, often in leadership roles. 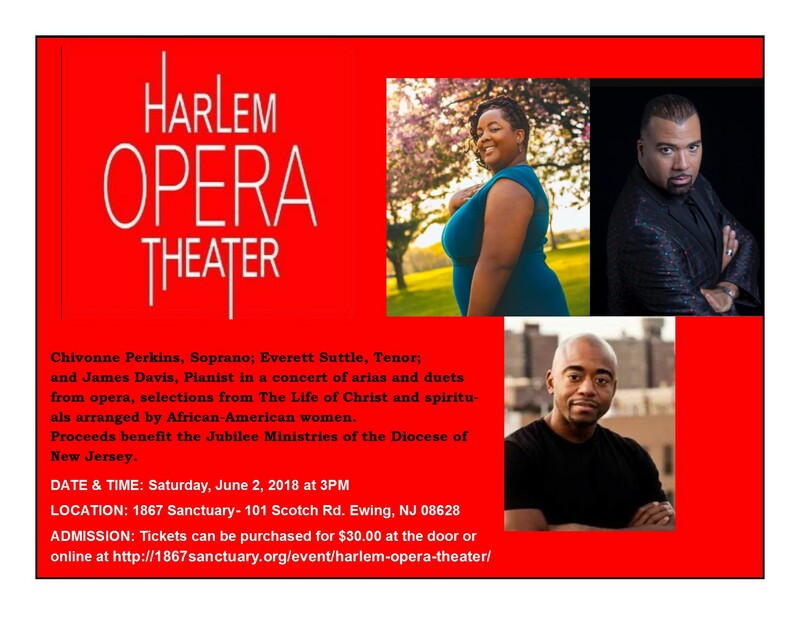 He is currently a student at General Theological Seminary and continues in the discernment process for priesthood. Thomas brings a much needed Youth/Young Adult perspective to the Deputation. Marcus A. Gales worships at Christ the King, Willingboro, where he is an active member and has served on the vestry. He has also served as a deputy to the Diocesan Convention and is currently serving on Diocesan Council. He attended the Diocese’s Anti-Racism workshop. Marcus is a member of the UBE and is serving on the Commission on Black Ministry. He is retired from the United States Air Force. He served as an alternate deputy to the General Convention in 2015. Dr. Karen G. Bemis worships at Christ Church, New Brunswick, where she leads the Audit Committee. She spends most of her time conducting research in volcanology, oceanography, and data visualization. Karen has served on the vestry of Christ Church New Brunswick, on Diocesan Council, on the Board of Missions, and attended several Anti-Racism workshops. She strongly supports the Anti-Racism Commission. Karen was an alternate deputy in 2012 and a deputy in 2015 to General Convention, where she fell under the spell of the Five Marks of Mission. There will be a Cathedral scavenger hunt for the kids as well as docent-led tours of the magnificently adorned and historic Cathedral. 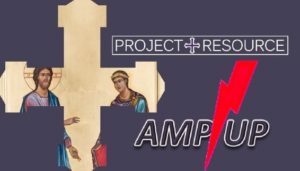 All congregations have been encouraged to send representatives, especially youth, to worship at “their second home church,” and all floral ministries and interested parishioners, regardless of skill level, are invited to participate in the free and professionally led workshop on Saturday, June 2nd. All floral materials will be provided, as will lunch. 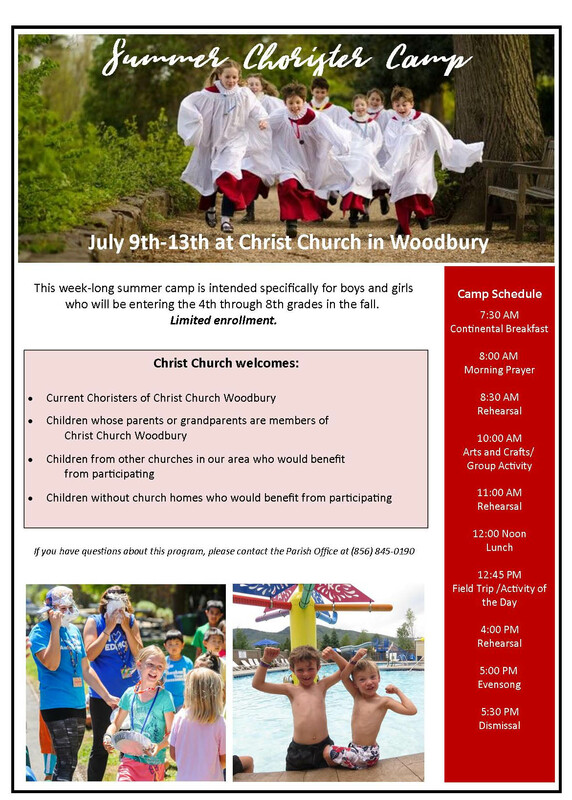 For further information on the workshop and confirmation, contact Patrice D’Angelo at the Cathedral Office at 609-392-3805 or at patriceattrinity@aol.com. 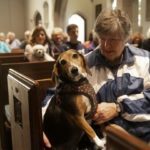 Rumson’s Pet-Friendly Services in the News Again! 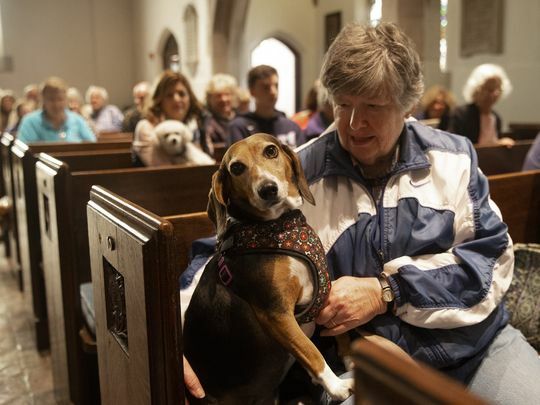 St. George’s-by-the-River in Rumson offers pet-friendly services nine months out of the year. Click here for the full story in the Asbury Park Press. 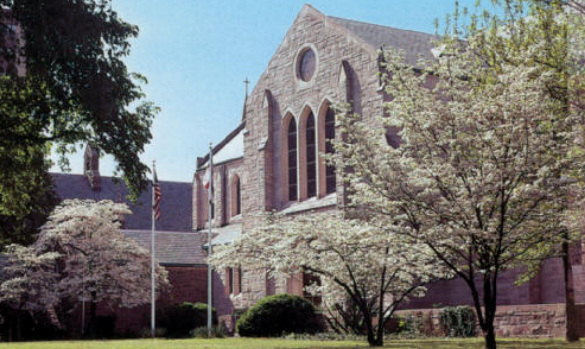 St. Peter’s, Spotswood is searching for a Parish Administrator. This is a part time position (20 hours/week), Monday through Thursday, 9 a.m. to 2 p.m. A qualified candidate would bring a welcoming and helpful presence to the Parish Office and must be proficient with Microsoft Office software. Good organizational and communication skills are required. Prior church administration experience is a plus. Email your interest with cover letter and resume to administrator@stpetersspotswood.org Application will be accepted through April 30th. SEEKING LEVAS II St. Thomas’, Glassboro is looking to buy used copies of LEVAS II. Contact us if you have extra copies.